Speed is everything in this day and age, as companies try to get their products to consumers as soon as physically possible. Amazon has built a business worth close to $200 billion based around this concept, and according to recent patent filings and dealings with the FAA they aren’t even close to being done trying to speed deliveries up even further, this time perhaps via drones. When it comes to customization and one-off parts, 3D printing has been shown to be a tremendous enabler of rapid manufacturing/prototyping, and even Amazon themselves have begun adopting this technology. 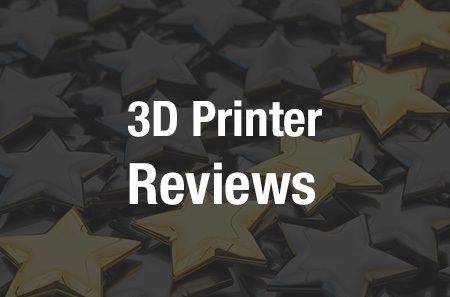 Another large company who has been dipping their toes in the 3D printing waters is UPS. The UPS Store announced last year that they would be introducing 3D printers into 100 stores throughout the US, and today it was announced that a startup called CloudDDM would be introducing a full-scale manufacturing facility within UPS’s worldwide hub, located in Louisville, KY. This isn’t any old manufacturing facility. It’s the manufacturing facility of the future, at least if you’d ask CloudDDM co-founders Mitch Free, Rick Smith, David Crowder or Anthony Graves. The fully-automated facility will house a staggering 100 3D printers which can be used to manufacturing one-off parts, or mass manufacture 1,000 of the same part. The ‘DDM’ in the company’s name stands for ‘Direct Digital Manufacturing,’ and that’s exactly what they have set out to accomplish. The 3D printers found within this new facility all run 24 hours a day, 7 days a week, and require just three employees total; one per 8 hour shift. The way the system works is quite remarkable. Customers are able to utilize the browser independent CloudDDM application to create new print jobs using their PC, tablet, Mac or other mobile device. They then simply upload one or more STL files via the app, select the material, color, number of parts required and production priority, enter their payment information and address, and then send the order off to be printed. This is where the location of the facility comes into play. Through a tie-in with UPS, allowing the company to launch within their worldwide shipping hub which happens to be the world’s largest packaging handling facility, they are able to afford an additional 6 hours within a day to make UPS’s cutoff times. Typically if a shipper wishes to have a package delivered the next day via UPS, the package must be dropped off by 6 pm Pacific time. Because of this tie-in, any order placed through CloudDDM that takes under 4 hours to print and is submitted to the company by 6 pm Pacific time, will be delivered the next day. The system automatically provides an estimated build time and checks to see if machines are available. It then will notify the customer if the product can be shipped to them the next day or not. Currently the company is able to produce parts using several materials which include ABS, Polycarbonate (PC), Polycarbonate-ABS (PC-ABS) and ULTEM 1010. Several color options are also available. Already the company has landed clients such as publicly traded Flextronics International, as well as Humanscale, a New York-based manufacturer of ergonomic office furniture and tools. They are already planning for the future as well. According to Mitch Free, they expect to eventually expand the facility in Louisville from 100 to as many as 1,000 3D printers and then they will look outside of North America to Asia and Europe for growth. In what could eventually become an Amazon-like service for 3D printed items, CloudDDM certainly seems to be a leader in this rapidly growing industry. Let’s hear your thoughts on this startup’s ambitious push into the 3D printing space. Discuss in the CloudDDM forum thread on 3DPB.com.